In a shocking move Tyra Banks has cleaned house at America’s Next Top Model and fired photographer Nigel Barker, runway coach Miss J, and creative director Mr Jay. When I heard the news this morning I was surprised. If you have been watching this season’s America’s Next Top Model you would have to agree it is not the best cycle they have had. To see our full and detailed recaps of all of this cycle go here! However, Mr. Jay and Miss J are the best thing about this cycle. If there was one person I would have fired this season it would have been the new judge Kelly Cutrone. She is vile and nasty, but I guess that is the direction Tyra wanted to go in. Nigel, Miss J and Mr. Jay who have been with Tyra since 2003, were reportedly informed Thursday morning that their contracts would not be renewed for Cycle 18. Rumor has it the show is looking to enhance its “social media” slant by reaching out to bloggers and Kelly already has an active social media presence. What do you think of the firings? It is hard to imagine ANTM without Nigel, Mr. J and Mrs. Jay. 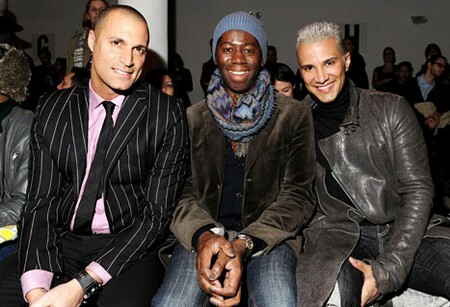 Will you continue to watch America’s Next Top Model without Nigel, Mr. J and Mrs. Jay. Do you dislike Kelly as much as I do as a judge?